I think my stance on whitening (yes, explicitly said!) skincare is quite clear. While I’m not against any skincare that opts for brighter, clearer and healthier complexion, I’m really against the idea of any skincare that promises whiter and paler skin than your original skin colour. Especially those that promises instant result. I always have big suspicion on that kind of skincare. I don’t believe skincare would be able to give you instant result. Apparently the obsession towards whiter and paler skin by Indonesian women actually predate to the Majapahit era. 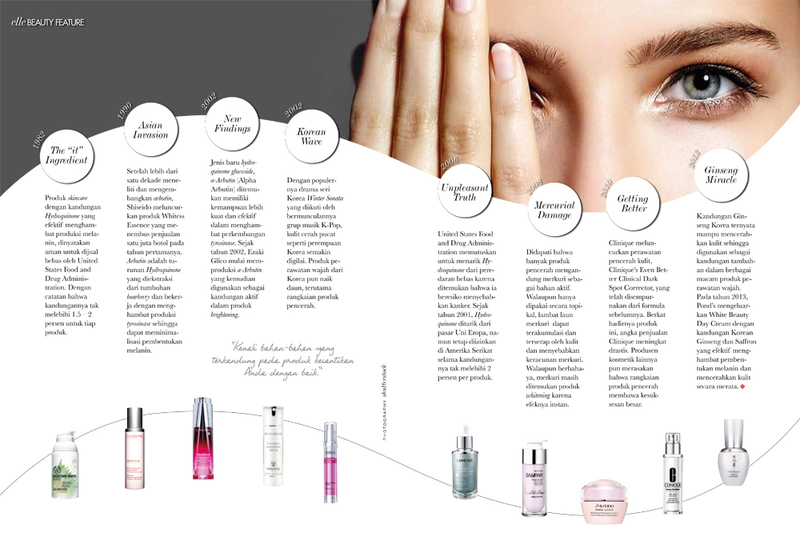 I’ve written a brief history on this for Elle Indonesia for their March edition, titled “Bright Story”. If you’re keen to know on how the obsession started, click the picture and read on.